A comfort food twist. I think meatloaf gets a bad wrap. Some people think that meatloaf is dry and tasteless. Actually, meatloaf is awesome! After all, it's ground beef and however you decide to dress it up. Next time you decide you don't like meatloaf, try this recipe. You will love it. Preheat oven 350 degrees. Lightly spray 9x5 inch loaf pan with non stick cooking spray. In a large bowl, combine all ingredients. Using your clean hands, mix well and place in loaf pan. Bake 40 minutes, carefully remove loaf pan, spread bbq sauce over meatloaf, cook additional 15 to 20 minutes, until no longer pink. Drain if needed. Garnish with remaining green onions. Slice, serve and enjoy. Note: Let your meatloaf rest 10 minutes before slicing. 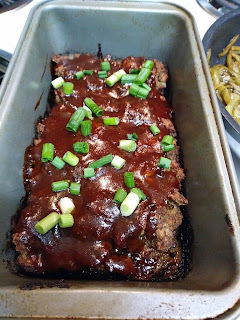 Love the ginger and green onions...and I'm a fan of meatloaf!! 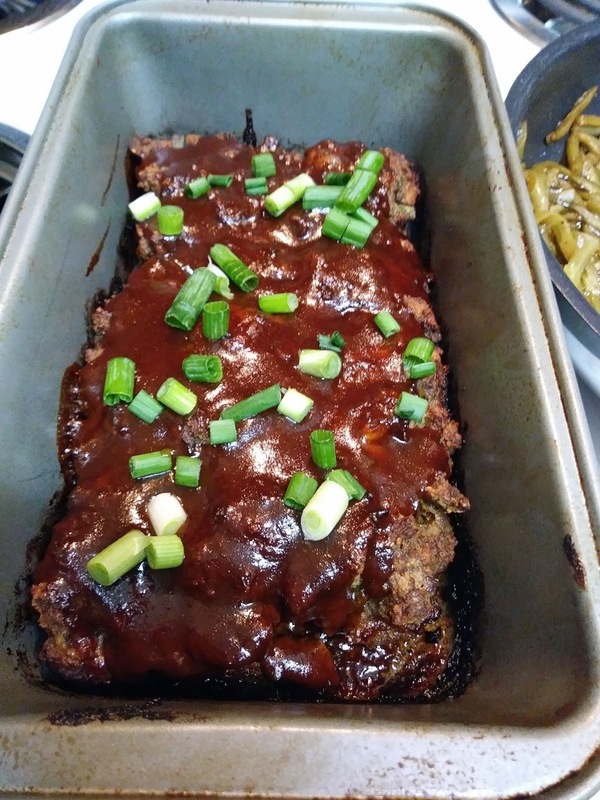 I've never thought to make an Asian inspired meatloaf but love this idea! Fun twist on a classic! This is a twist I have never seen before!